The Organic Food Verdict? It’s Up to You! Recently, a large review of the evidence regarding the healthiness of organic food was published. In previous posts I talked about how the study’s authors felt that there was not evidence to support eating organic, but the results were complex and often contradictory so a more nuanced look was warranted. In this post I will answer this: So what is there to make of this mess? The real question we want answered – are people who eat organic healthier – has not been adequately addressed. The best way truly convince a room full of doctors that there is a health benefit to something, be it a medicine, surgery or a diet, is a randomized control trial. That is when you take a group of volunteers, give half of them organic food and the other half conventional food and see how their health changes by comparing the two groups. Obviously, this would be extremely expensive and you would need tons of people for many years to get truly convincing results. It is very unlikely that that study would ever be done, so there will likely always be a controversy. There are some suggestions of health benefits but they are weak and hard to support buying organic food that is often 2x more expensive for only health reasons. I personally believe the reduced environmental impact and taste alone make organic foods preferable. Have you ever compared the bland, pulpy factory farmed tomato to its flavorful, deliciously juicy organically grown heirloom tomato cousin? It’s hard to believe they are considered the same fruit! One other thing that is important to keep in mind is that from a healthy eating perspective, it’s more important for your health to eat a good mix of foods in reasonable portions than to keep organic. In other words, it is unhealthy if you eat burgers everyday, whether it’s fast food or Kobe beef. Until a large clinical trail gets started to study if there is a benefit of eating organic, we have to trust our gut. Are you a person that can afford to eat organic and you get the willies thinking about the tiny risk of pesticides and drug resistant bacteria in your food? Do you think organic tastes better? Do you want to expose the environment to less chemicals? If you are a resounding yes to those questions then organic is the way to go. Is it hard for you to pay the extra money, or does the added expense makes buying vegetables a burden? Are you are not too convinced about the taste? Then do not feel guilty for not getting organic – you are not hurting you or your family’s health. There are numerous reasons to go organic, but as far as medical science can tell, your health is not one of them. 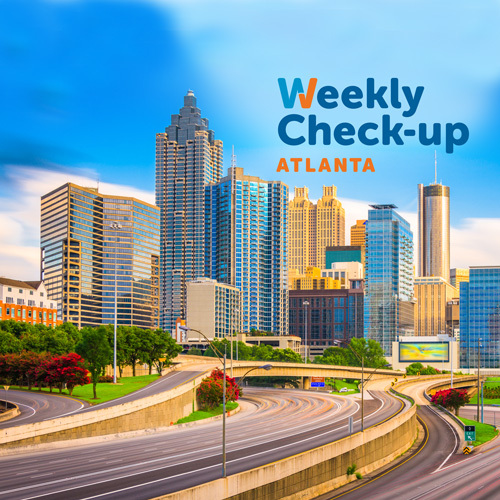 https://weeklycheckup.com/wp-content/uploads/2017/11/atlanta_500x500-1.jpg 500 500 johnlenz https://weeklycheckup.com/wp-content/uploads/2018/01/wcu-logo.png johnlenz2012-10-04 19:58:592017-11-27 18:39:22The Organic Food Verdict? It's Up to You!